Second time I've had the tipm replaced, in a week. Started just like first time with horn going off randomly, but had it back in shop before anything else went wrong. Shop said that the first replaced tipm did go bad. And they will replace it at shop's cost. They have had the car for almost a week, stating they would like to be sure that this one is ok but the second one blew too. Dodge I love ya but get your stuff together. Horn would go off randomly, battery drain and alternator died . First the horn started going off randomly, then the alarm started going off randomly and now the front wipers won't stop, no turn signals, head lights won't turn off, no high beams. No more Dodge product's for me!!! Went to go get gas driving the 2010 Dodge Journey SXT. Filled my gas tank up pulled out of the gas station. Within 100 feet of driving away from the gas station my cars electrical system started to malfunction. Meaning windshield wipers going, horn going off, dash board lights flashing all lighting up, etc. car power steering cuts off and acceleration shuts off. I had to coast my car into an empty parking lot to asset the situation. Low and behold I see smoke coming from the hood of my car. 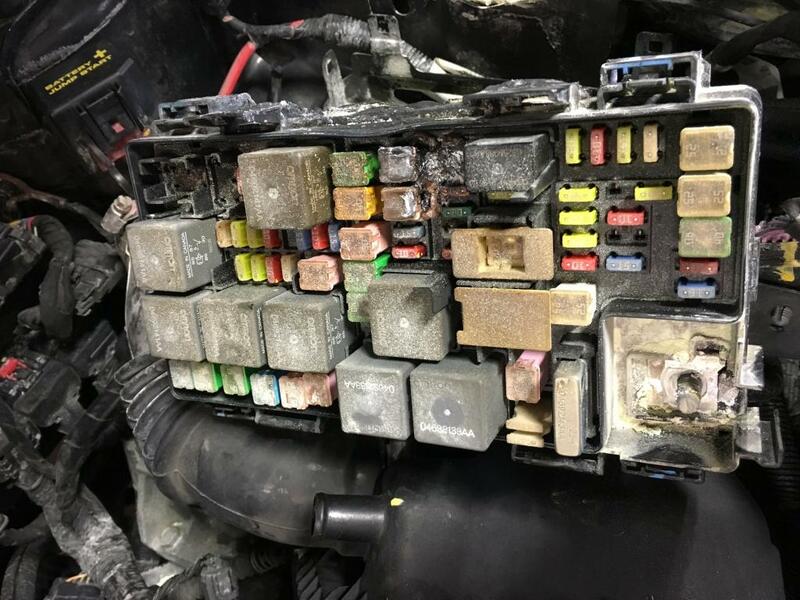 Turn my car off, popped open my hood, to see more smoke coming from the fuse box. In a matter of seconds there was visible flame. The next thing I did, while calling 911 ran to the nearest convenient store (Bargain in a Box) to see if they had a fire extinguisher. 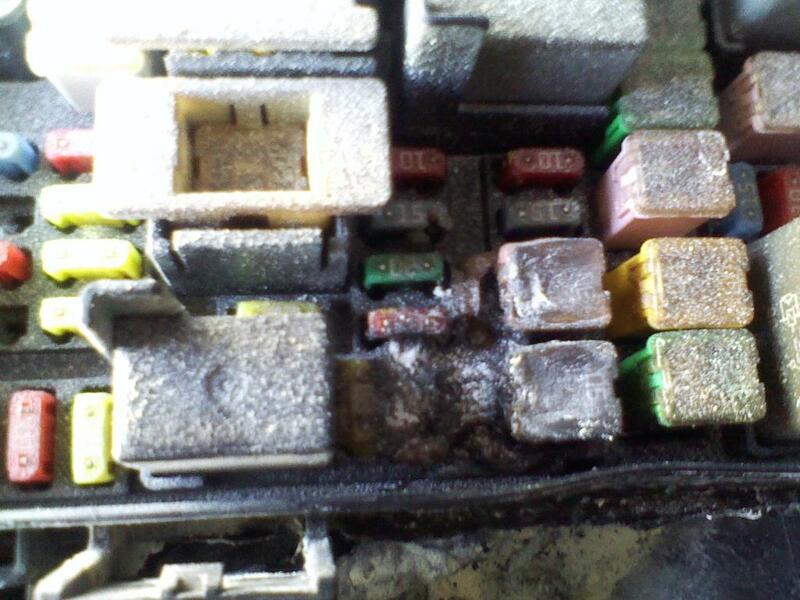 Told the details of where my location to 911 and tell them there was a fire coming from the fuse box of the car. The employees at the convenient store gave me a fire extinguisher while I was on the phone asked the operator if i should use the fire extinguisher, the 911 operator told me if my safety would be at risk that she advised me not to use it and told me the police and firefighters are on there way. A customer standing next to me asked what did she say and i relayed the message back to him. He then took it into his own hands and put the fire out for me. 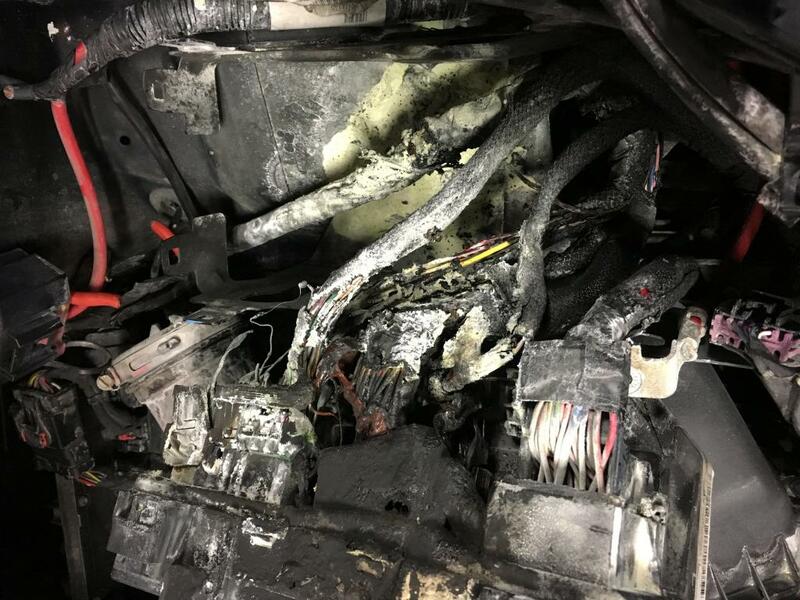 a few moments after the firefighters showed up they cut the battery cords to the fuse box cutting all power to the fuse box and to the whole car. Had the car towed to car dealership to assess the damage. The damage they said would be over $9200. I then called my insurance company to file a comprehensive claim. Since my extended warranty elapsed 4 months earlier Car ended up being totaled cause the amount of damage exceeded the value of the car.. Chrysler / Dodge Corporation knows there is a issue with TIPM in certain cars Found out my car was made in Mexico. Not the USA where inspectors oversea manufacturers skilled union worker and parts to make our cars hold up to US standards Buyers be aware of your Carfax History. I purchased this car 12/11/14 from a Ford Dealership with an extended warranty with Ford costing $2300. 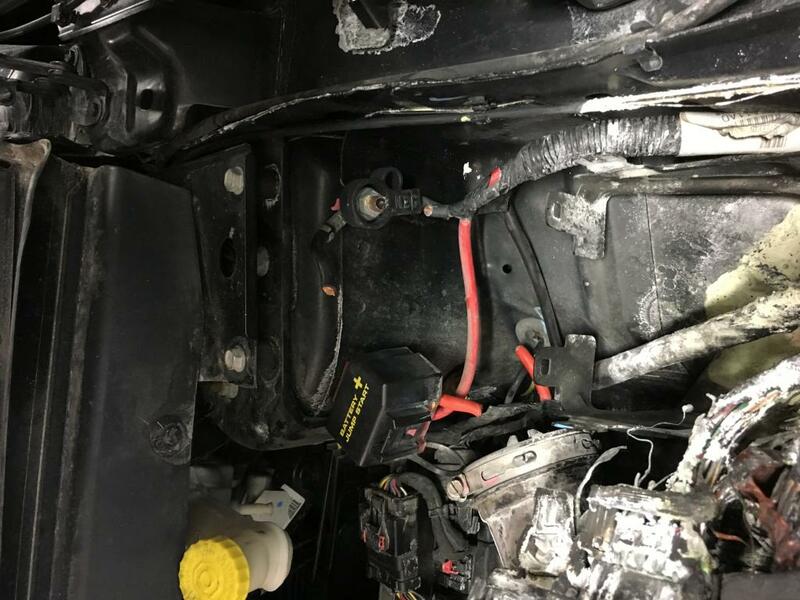 The day I bought this vehicle the electrical issues began I returned this car to dealership that night after driving 4 blocks away This car passed a Certified Inspection prior to purchasing it by Ford their solution was a new battery. Problems continued until an Ignition recall from Dodge 5 months later it took 5 more months until parts were available at Dodge to fix. Dodge was aware of situation since there were class action lawsuit against them in Aug 28th 2014 Dodge never informed customers or dealership of the TIPM issues so my car never was fixed properly under a warranty in time, cause Ford wasn't aware what problems Dodges were having.. I hope reporting this issues, others protect themselves that are having same issues. Get this fixed before a FIRE occurs. .I paid over $14,500 for this car still $5,000. on my lien. only getting $8700 from Insurance Co.
On 03/30 I came out of Pick' n Save with a cart full of groceries and my car alarm was going off beeping horn flashing lights. I tried to shut it off, but pushing the button did no good. So I got the in the car and started it, the car shut off in the on position. I started it again and it stayed running, and horn shut off. As I was driving home it just started beeping for 10 miles. I parked it in the driveway it stopped for awhile. Randomly all night long it would just start beeping, neighbors started calling, TURN IT OFF. I pulled the horn fuses, now I have no horn, no security alarm. I put the fuses back in 04/01, it was fine for 2 miles. Then when I tried to roll the driver window down a little, it went right back up by itself when I let go the button. I put the window all the way down, it went all the way up, then 1/4 way down by itself. I got to Walmart I held the button up and shut the ignition off. Shopped for a hour, came out to load the groceries in the passenger rear door but it would not unlock. I pushed the unlock again and the horn started blowing again, door still would not unlock. The horn finally stopped. I drove home, unloaded and locked and armed security, was good that night. 04/02 My wife works 6pm-6am, so sleeps during the day, guess what it started randomly beeping again. I had to pull the fuses again, this a safety issue and security issue also. If something is in the road I can not beep. If someone was steeling car no alarm. HELP!! I bought my used 2010 Dodge Journey in November of 2013. No major problems.... I thought. I do have a lovely added feature due to a legal matter. I had breathalyzer installed in January of 2015. I have had many issues with battery over the years. I just thought it was bad battery. I just purchased another new battery in January of 2017. My problem with horn honking started back in August. My horn started honking at work and as I am not allowed to disconnect my battery due to the breathalyzer. My co-worker took out the fuse from the T.I.P.M. and I drove without a horn for awhile. I put fuse back in so I could get car inspected and actually had a working horn for a few weeks. At night I would hear horn honk every now and then. Up until February 22, 2017. My horn started honking at 6:00am and I could not figure out which fuse it was to take out. So, I started pulling all of them out. Getting phone calls from neighbor who works nights and sleeps day telling me to shut the damn horn off. After getting help from another neighbor he looked up the T.I.P.M. and showed me what I needed to replace. I also looked up complaints on 2010 Dodge Journeys. This was one of the many. I checked for recalls and called dealership to see if my car had any recalls. According to the dealership my car is unaffected. So, as I cannot afford to replace this freaking T.I.P.M. for part and labor I am trying this to express how pissed off and inconvenient this problem is for me. My car wouldn't start this morning and had to connect to battery charger to get car started so I could go to work. I cannot express how pissed off I am about this. Besides buying a new battery, I've bought 2 back tires and alignment just over last weekend. WTF.....How was this motion for defective part denied in court? What other steps can I take besides taking it, and paying to fix it so I can maintain my job and life? Would love to hear what others have done and what steps they have taken to contact Chrysler/Dodge for this T.I.P.M. problem. So now the (film module) has decided to not allow me to lock or unlock my vehicle. When is this going to be taken care of by Dodge. How many issues do you have to have before a company is used and forced to take care of this. Right Rear Turn Signal doesn't work. No power coming from TIPM. Battery is sporadically dead on this vehicle. have to boost 10 times a year.
! have 2010 Dodge Journey that has constantly given me problems since it was new.Not starting,Tow Bills) Ignition System( Fixed on recall twice),Car stalling on highway(Hit Guard Rail because could not steer and nearly hit in rear by skidding car behind) Horn honks and Windshield wipers come on occasionally,Transmission jumps into neutral on the highway (Shift lever does not move just the transmission jumps into neutral) when the engine stalls, it will only start with a jump and all the dash warning lights come on and it will move only in the lower shift positions, will not move in drive. I have replaced battery and alternator twice based on misdiagnosis. I am now afraid to drive it out of my driveway because it is happening almost every day. At first it was just the horn/alarm going off at random times. The next thing to happen was for the battery to die, without warning. Come to find out the TIPM was sending power to random things in the car even when the car was off with no key in it. You could hear a clicking sound that comes from what appears to be the fuse box, but actually it is the TIPM. This would only happen randomly and was a minor nuisance, however, it gradually got to the point where it was every night that it would happen. 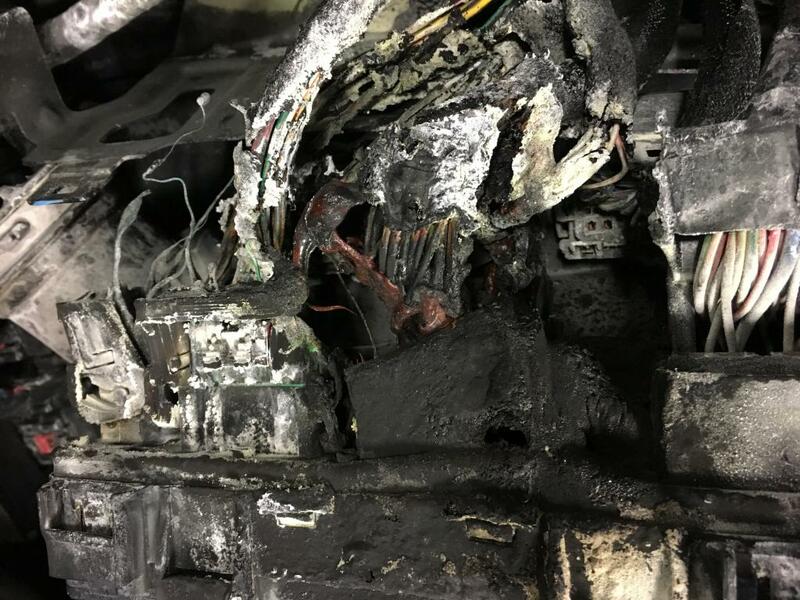 In order to prevent this from happening, I disconnect the direct power supply coming from the battery when I know the car will be sitting for a long period of time (at work or overnight). This stops the battery from going dead. I have been having this problem since Sept and have been in one accident because of this stalling on the freeway. No one was injured. Since then it repeatedly will stop turning on without any warning. Have had it to several places and over $1200 to fix because Chrsyler does not want to acknowledge there is an issue! I bought it used and have it less than a year. Journey was not starting intermittent problem. Diagnosed as the TIPM . Recall notice states it could shut off while driving possibly causing crash. Since we know the TIPM is bad it is unsafe to drive. It has been awaiting recall repair, TIPM replacement for over a month at the dealership. No parts available they say. We need our vehicle for every day use. No loaner provided. I don't know how much longer we will lose the use of our vehicle. No end in sight. The Car stalls while driving or sometimes won't start at all. The part has been on back over for 6 months. For the last 2 months, I have been without headlights on my car. The dealership tried to do a "work around" was unsuccessful & told me it was due to faulty TIPM. Unfortunately, the TIPM is on national back order with no ship date in sight. After doing some research, I've found that Chrysler is well aware of the problems with the TIPM & there is currently a class action lawsuit in which the 2010 Dodge Journey has been added to the list of problem vehicles. In addition to not having use of headlights, I have had start problems resulted in a replaced battery & continued start problems. My research also shows that others have experienced problems including their car stalling while on the road or other electrical malfunctions including uncontrollable windows, door locks, windshield wipers, radio & fuel pump problems. This has been a huge inconvenience & I am now concerned about safety & reliability in this car. Currently, I am having to leave work everyday at 4:30 to get home before dark. I work in the real estate industry & need to be on the road, often with clients in my car. This also serves as a family car with my 21 mos old son riding with me & I am pregnant. This problem has also resulted in us having to cancel our Thanksgiving travel plans as we can not afford the high car rental rates + the $1000++ costs to repair our car (whenever the TIPM finally comes in). 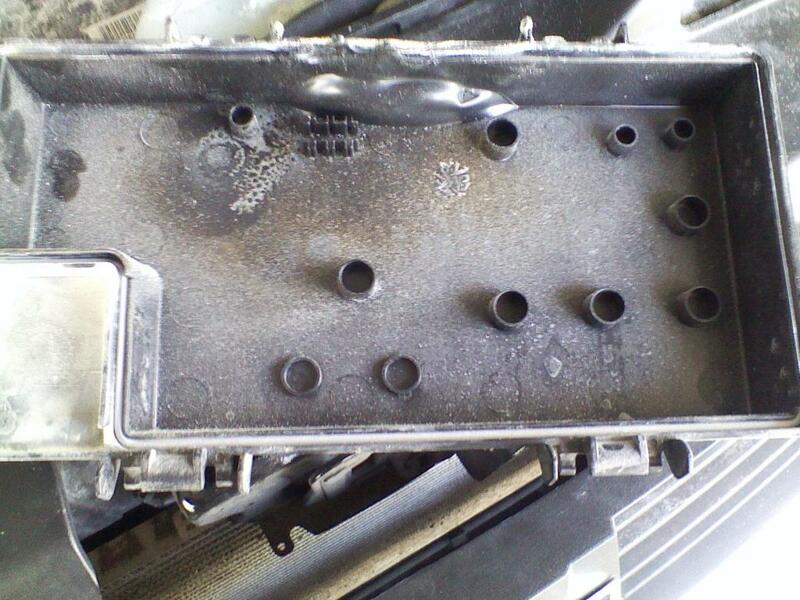 Chrysler knows about this problem & is knowingly allow customers to continue on the road with no help or warning! Fob went out, called dealer, no help, found out that there was a recall on the ignition switch, which involves the fob. I am so sick of these axxholes. Car fails to start. It is an intermittent problem. When it doesn't start, I have to jump start or charge the battery for a few minutes. Update from Jan 13, 2016: I found a workaround for my problem. A bit inconvenient, but it works. 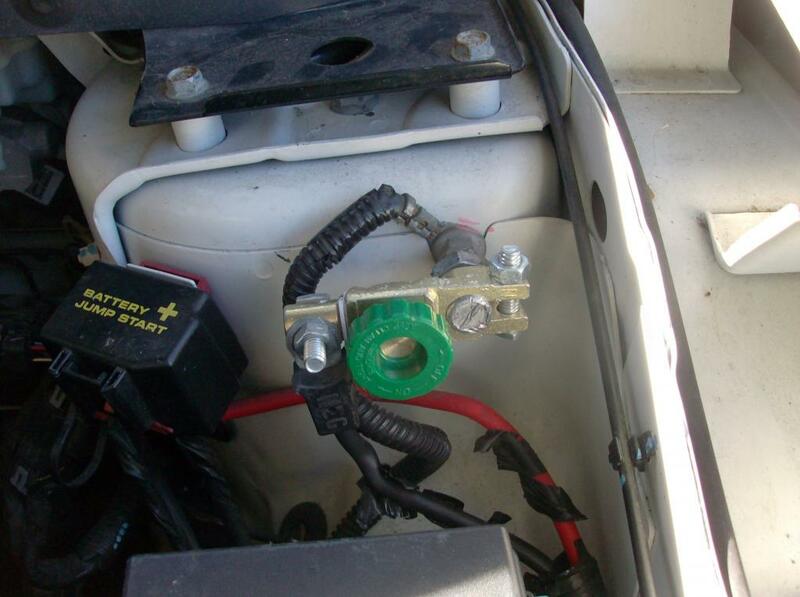 I installed a battery cutoff switch (manual) to disengage the battery when the car is off over night. I just pop the hood and either tighten or loosen the switch to activate or deactivate the battery. I have had this in place for 2 months and it works great. Just have to remember to turn it off in the evening. Horns sound randomly and the only solution is to remove the fuses. Car shuts off while driving. A/C goes off, windows won't work, clock goes off, radio goes off, directional signals won't work. This has happened on several occasions in the past couple of months.